The Virginia Museum of History & Culture traditionally has pursued an active program for the acquisition of the records of Virginia's business and commercial enterprises as they have become available. Some of those record groups have reached the society as components of larger collections of personal or family papers; some have been received directly from companies or their agents and represent the selected remnants of historic and operational records of those firms. The society's business collections currently contain a wide selection of business history records, from single-volume account books kept by merchants in the seventeenth century to massive record groups of successful twentieth-century firms or international corporations based in Virginia. 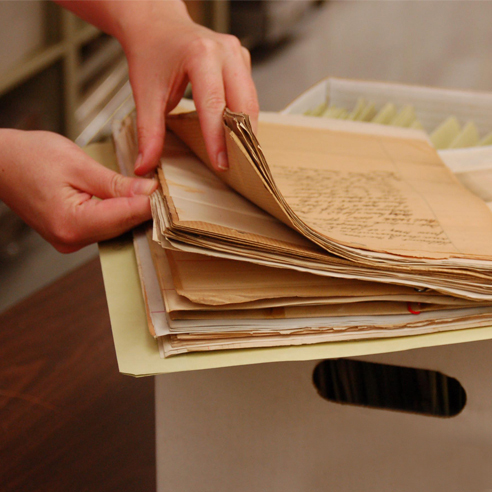 In operating the Reynolds Business History Center, the society strives to continue the acquisition of corporate and business records from Virginia firms or entrepreneurs throughout the commonwealth's history. Given the extensive range of types of records kept by businesses throughout Virginia, especially at different periods in its history, a set of guidelines suggesting what categories of records have traditionally held the most value from the perspectives of permanent preservation and potential research value seems useful. Decisions about acceptance, retention, and preservation of specific record groups proceed on a case-by-case basis. This set of guidelines, however, should serve as a convenient tool for negotiating the transfer of collections, advising donors on the selection of records for preservation, and focusing upon specific materials to be retained and processed. Inventories or registers of equipment, products, holdings, etc. To promote access to our collections, the Virginia Historical Society, funded by a gift from Betty Sams Christian, offers fellowships in business history of up to three weeks a year.